One of the challenges when discussing systems engineering is the fact that the term has become so overloaded. Like agile development, systems engineering has no clear unified meaning, and organizations, industries and individuals tailor the meaning to fit their needs. 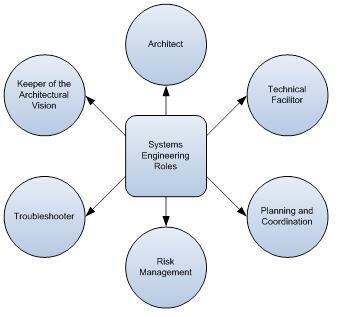 So in order to frame the rest of this discussion, I want to share my view of systems engineering and the six critical roles and responsibilities it encompasses. This is probably the most commonly understood and agreed upon role within systems engineering. Typically this role is about the iterative and quantitative process of translating product stakeholder need into architectural design, including requirements definition and risk management. Long gone are the days of waterfall architecture, i.e., first detailed requirements, then architecture. Today’s architect must take a holistic view of the stakeholder needs and actively ensure alignment of the architecture to those needs while providing a level of flexibility in the architectural process that accommodates and embraces changes as a normal course of development. Most organizations have learned the hard way that the product architectural process is not only about translating end user needs into design, but it also must account for and align the needs of all the product stakeholders. This includes not only customers, but also sales, marketing, management, development, service, quality, regulatory and manufacturing. 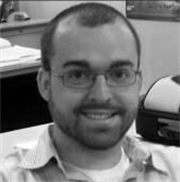 Approaches for unit, component, integration, and system test and verification strategies. While the baseline skills and experience required from engineers who lead systems engineering activities are typically broad, deep and embrace a wide diversity of technical knowledge, it is unrealistic to expect systems engineering to work in a vacuum. No matter how skilled a systems engineer is, ultimately they must work collaboratively with all product realization stakeholders and players to realize the products. Systems engineers must employ active listening skills while monitoring and adjusting their verbal communication to ensure the message, not the way it is being said, is understood. Ultimately, they facilitate and resolve technical and programmatic group problem-solving and decision-making activities. What elements need to be developed to support servicing the product in the field. As with all modern development approaches, planning and ultimate execution coordination needs to be dynamic and embrace change. For this reason, systems engineering needs to be highly integrated with project management activities in order to provide the necessary technical and architectural focus to ensure effective change management and dynamic re-scoping of project activities as the issues, risks or changes occur. As with any medical device product development program, risk management is a cornerstone activity that spans the complete product lifecycle. Because of the unique, holistic and system-level view provided by systems engineering, systems engineers must lead and facilitate the elements within this framework. Risk management encompasses two unique sets of activities centered on technical and programmatic risk. Technical risk management encompasses the more traditional elements of IEC 14971, 62304 and 60601. These activities include ownership of the risk management file, driving top-down and bottom-up risk identification and mitigation activities utilizing FMEA or Fault Tree Analysis type approaches. Additionally, technical risk management includes ensuring the identified mitigation strategies and requirements are met through the architecture, development and verification activities. Conversely, programmatic risk is about the risks associated with actual product realization. Often the role of systems engineering is to articulate the impact of technical risks as they are identified in terms of schedule or project cost. In this role, the systems engineer is the initial technical representative who works with the project manager in identifying and ultimately mitigating these risks. Systems engineers, because of their unique knowledge of the system architecture, are typically the first line of defense as systems-level issues are identified. As issues are uncovered systems engineering’s role is to drive the issue resolution process through a combination of hands-on or group problem-solving activities. Based on past experience, I can say with certainty that the most significant product development issues typically occur at the interface layer between system components. While development teams are very adept at resolving issues within the framework of their component development activities, they often do not have the system-level perspective to take into account how changes they make can impact the overall system. Additionally, systems engineering brings to bear not only the understanding of the internal construction of the system, but how it solves and meets the needs of all the stakeholders. Systems engineering plays a key role in supporting and providing first-level troubleshooting support for such activities as verification, validation, manufacturing pilot builds, and even clinical trials. Systems engineering is a critical, key component of the product development landscape and the cost to organizations not embracing it is significant. As products become more complex and demand higher levels of interconnectivity, the impact of slipped schedules, increased development costs and delayed revenue recognition is real and quite substantial. Fully embracing and incorporating systems engineering into a company’s product development process is not insignificant. In addition to the needed changes in organizational culture, the challenge of finding just the right individual(s) with the necessary skills to satisfy the various roles and required activities can be daunting. Yet despite these challenges, the benefits to the bottom line are real and significant and well worth the challenges of incorporating the systems engineering role. In my next post I will explore, based on the roles and responsibilities of systems engineering, what the most significant and common issues or challenges organizations face when they don’t pay attention to or incorporate systems engineering. This installment covers what's missing and what pain does it cause. Without systems engineers, what is the impact to project teams and organizations?